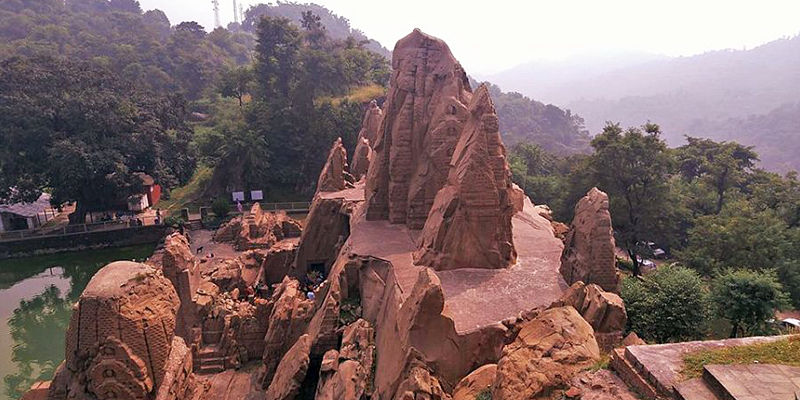 The Masroor rock cut temples, also known as the Himalayan Pyramid, is a popular archaeological and pilgrimage site in Himachal Pradesh. Located about 40 KM away from Dharamsala, this is a complex of 15 monolithic rock-cut temples that are carved out of a single rock. The temple’s architecture follows the Indo-Aryan style (popular between 7th-8th centuries). It is no wonder then that the temple was included in the list of national monuments in 1914 and is now vying for a place in the list of UNESCO World Heritage sites. It is believed that the Pandavas from Mahabharata spent some time in Kangra region during their exile. This is when they erected an eye-catching structure cut out of limestone rock. Another tale has it: the temple is an unfinished staircase to heaven which the Pandavas were building. The legend further claims that Pandavas took an oath to build a staircase to heaven and complete it before dawn. Dismayed by the decision, Indra (the king of Gods) planned to turn their plans futile, and disguised himself as a crow and crowed before the dawn to mislead the Pandavas. The whole event resulted in Pandavas not fulfilling their oath and keeping the structure unfinished. The temple complex rests on a rocky ridge and is carved out of a colossal sandstone rock, which is about 757-meters tall. 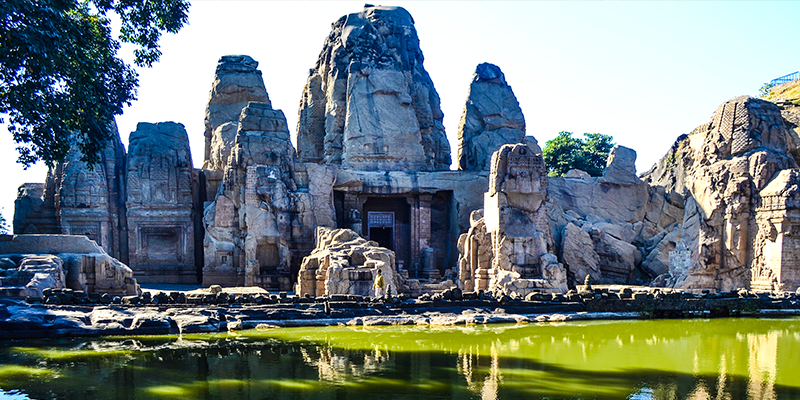 The monolith temple complex bears resemblance to the temples of Ajanta and Ellora caves. Some of the highlights of this complex include. Thakurdwara: Facing east, the main temple of the complex is called ‘Thakurdwara’ and was originally dedicated to Lord Shiva, but currently houses stone idols of Ram, Sita, and Laxmana – the protagonists of Hindu epic, Ramayana. Thakurdwara is largest temple in the complex and is stationed right at the centre. Interiors and exteriors of the Thakurdwara are engraved with beautiful and intricate stone carvings. Another interesting fact about this main temple is that it receives the first rays of the sun every day. Roof Shrines (14 Small Temples): Thakurdwara is surrounded by seven small shrines, known as roof shrines. Beautiful stone carvings are sculpted on the exterior walls of these temples. Masoor Lake: Right in front of this temple complex lays a beautiful pond known as the Masoor Lake. This lake is a remarkable piece of engineering as well. The detailed mirror image of each monolith temple is reflected on its clear water. 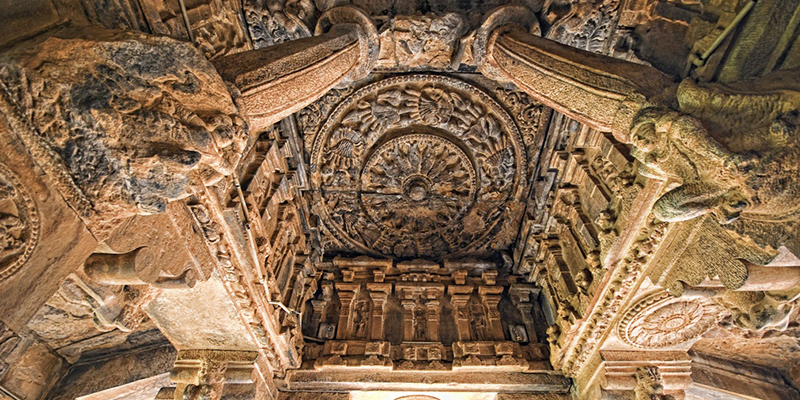 Spires (Shikhar): A pair of spires makes an entryway to the pillared hall (Mandapa). There are two cruciform shrines stationed inside the eastern court. The northern shrine has a 16-sided spire and each of these spires has been aligned to form multiple faces. The flat roof has small spires on the corners, and barrel vaulted structures lie amid these small spires. Door Frames: The door frames of the temples feature beautiful carvings of Indian Gods and Goddesses namely Surya, Indra, Durga, Ganesha, and Kartikeya. Ceilings: The ceiling of the sanctum and antechamber boast elegant lotus decorations that are encircled by diamond-shaped patterns. Each lintel features five deities seating on lotus, and the row above all the deities is decorated with peacock carvings. 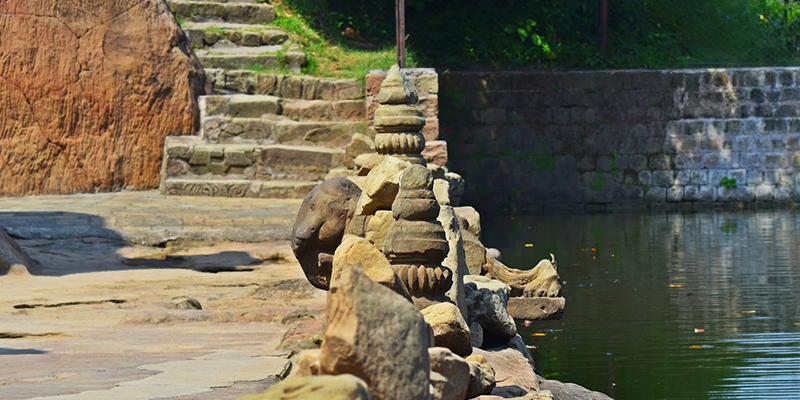 Stone Staircase: Just like the legend claims, there is an incomplete stone staircase within the temple complex, which can be accessed by the visitors. The staircase leads to adjacent rocks of the same sandstone ridge, providing bird’s eye view of the entire complex. Grand Festivals: Ram Navami and Janamashtmi are celebrated wholeheartedly at this temple complex. 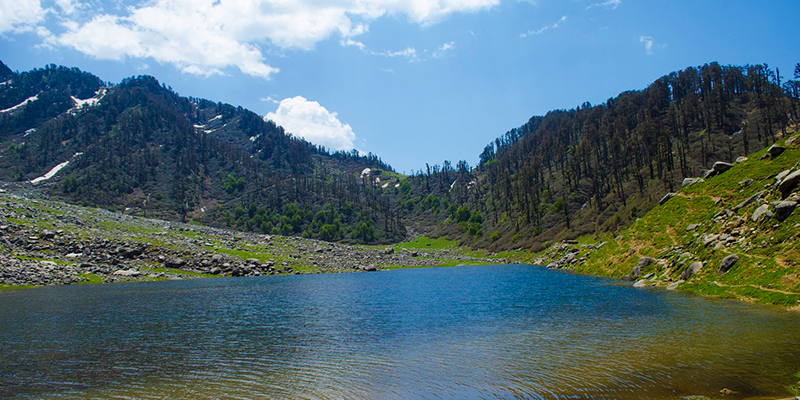 Kareri Lake: 19.2 KM away from Masroor temple, Kareri is a small lake that’s perched on a hillside. It is a hotspot for the trekkers and takes a 10 KM-long hike out of the town to reach this lake. Surrounded by mountain streams and glacier water throughout the year, the lake water is crystal clear and cool for taking a dip in summer months. Baglamukhi Temple: 32.6 KM away from the temple, Baglamukhi Mandir, also known as temple with a pleasant shade of yellow, lies in the middle of forest. 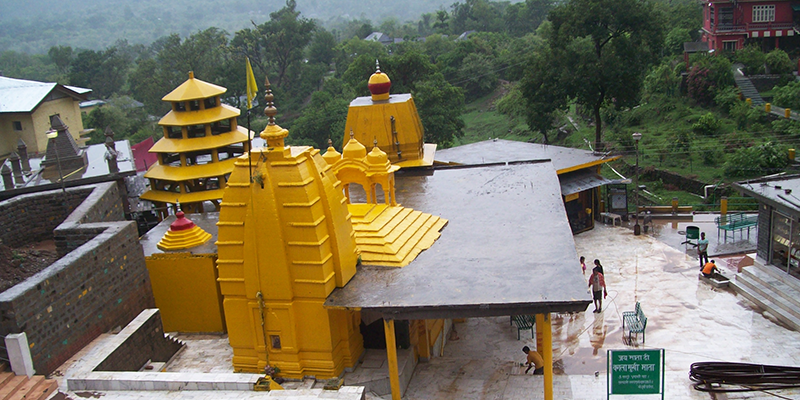 Devoted to ‘Ma Baglamukhi’, the shrine is situated at a short distance from the main town of Kangra. 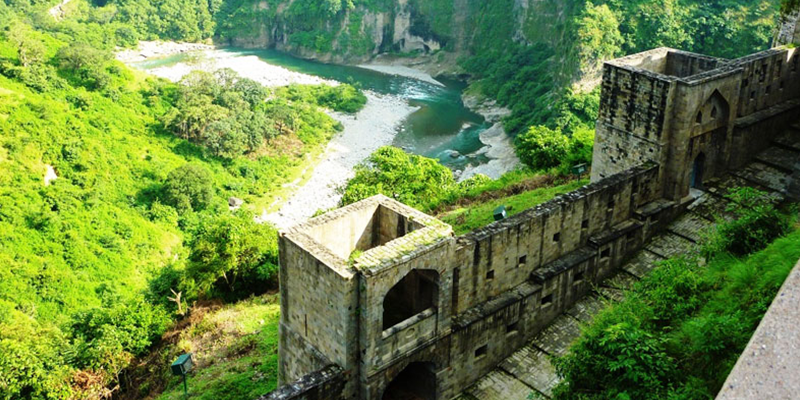 Kangra Fort: 34 KM away from Masroor temple, the Kangra Fort is the largest and the oldest fort in Himachal Pradesh. It was built more than 1,000 years ago by the Royal family of Kangra (Katoch dynasty). Tall arched gates welcome visitors into the fort, and the shrines sitting in its vicinity offer glimpses of the legacy and the past glory. Pong Dam: Maharana Pratap Sagar (Pong Dam) is 27.7 KM away from the temple. 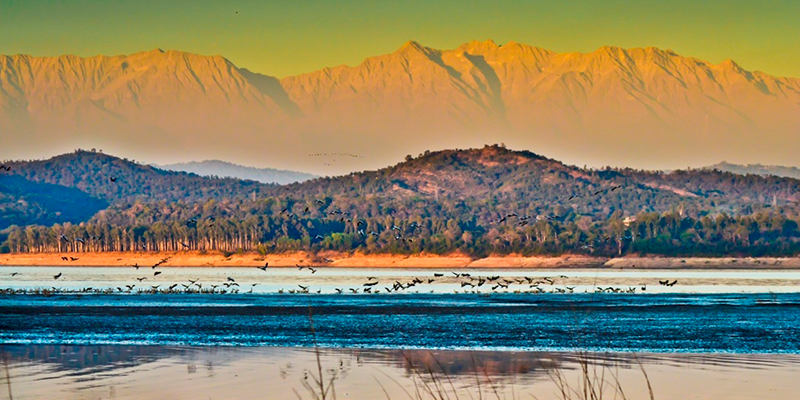 The Pong Dam Lake is India’s highest earth-filled lake, on River Beas. Pong Dam lies in the midst of the finest landscapes in the region complemented with rich flora and fauna. Kotla Fort: Located 35.7 KM away from the rock-cut temples, Kotla Fort lies on the state highway, between Shahpur and Nurpur, close to the main town of Kangra. It was built during the period of the Gular Rajas, and is often visited by people keen to look back into the local history. The fort is situated amidst thick pine forests, providing magnificent views. So, do not miss out on this unique temple on your next trip to Himachal Pradesh! It’s appreciateable to find rare information on rail yatri. Ellora holes is a solid structure (cut out of a solitary bit of shake). All that you see inside the hollows (columns, carvings, mind boggling outlines) are altogether made via cutting the stone.